Today, I want to share another company with you that made my daughter's birthday party a success yesterday: Green Party Goods! 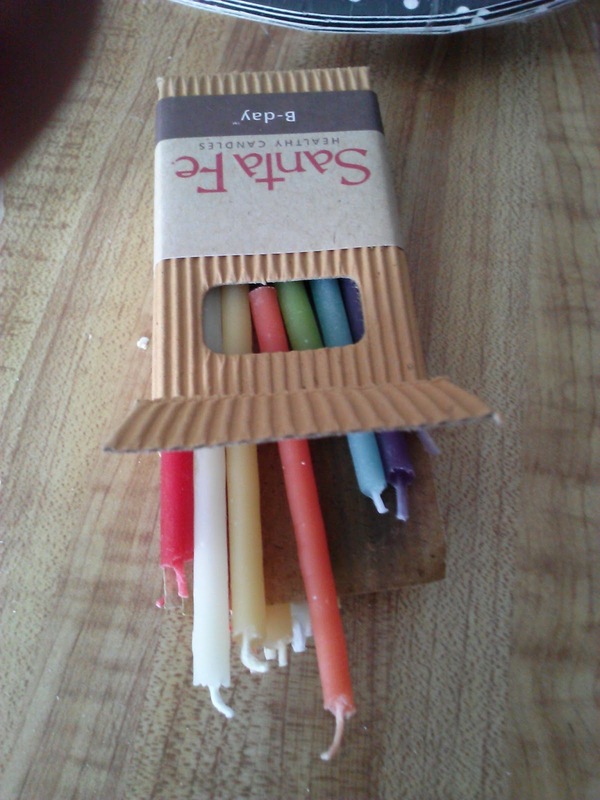 With the great items I received from Green Party, I not only had great decorations but I felt great using them because they were planet friendly and eco-friendly alternatives to the harmful products that are out there, filling up our landfills. Green Party Goods is an environmentally conscious online retail store, offering products to help you celebrate in eco-friendly style! 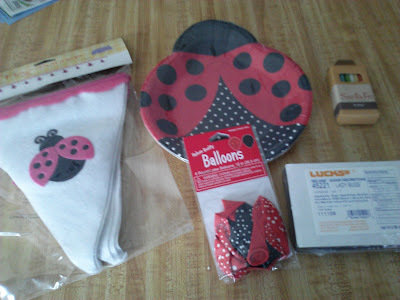 I received some really great items from Green Party Goods to help us celebrate my daughter's Ladybug themed party including: Ladybug Sugar Toppers, Ladybug Banner, Beeswax Birthday Candles, Biodegradable Balloons and Ladybug Paper Plates! The Ladybug banner was made from felt so it is reusable along with being REALLY Cute! It looked great at our party and I am not going to let it go to waste the other 364 days of the year. 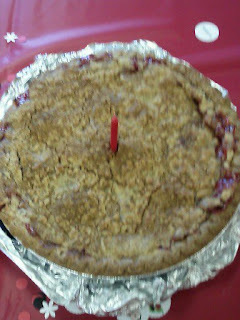 I will now use it to decorate my daughter's room and always remember her 1st birthday party! 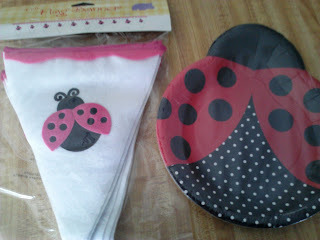 The ladybug plates were perfect for everyone eating their cake and desserts on. They look just like a ladybug! And here are the fun sugar Ladybug cupcake toppers on our cupcakes! They were so cute and added the perfect touch to our tasty cupcakes! The fun polka dotted biodegradable balloons were definitely my son's favorite part! He loved playing with them for hours, the polka dots fit perfectly with our ladybug theme, and I loved that they were biodegradable for when we do throw them! So as you can see, Green Party Goods has a great selection of party goods ranging from decorations, supplies and even cupcake toppers! If you want to throw a great party but want to do it with an eco-friendly twist like we did, Green Party Goods is the place to go for all your party supplies! Buy It: You can purchase all eco-friendly party supplies and decor from the Green Party Goods website.